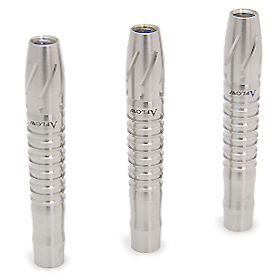 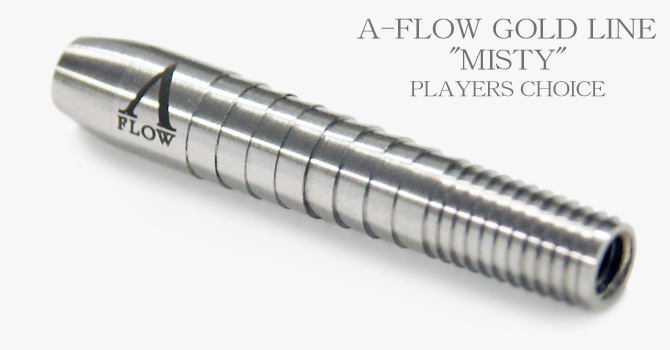 A FLOW [PLAYERS CHOICE] "MISTY"
After several years in development, Dynasty introduces the Gold line, bringing premier quality darts at a competitive price. 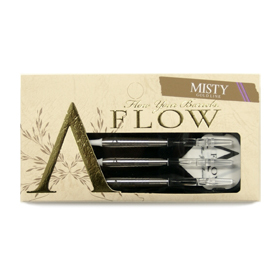 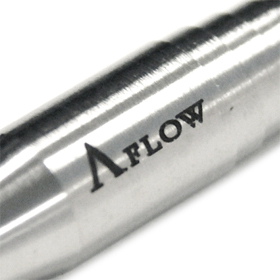 A-Flow Misty's grip features a smooth front section, a shark-cut middle, with standard grooves in the rear. 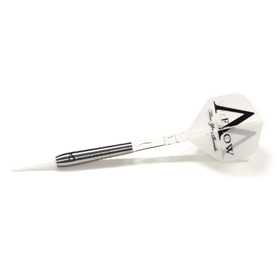 The 2 different cuts allow for an aggressive throw. 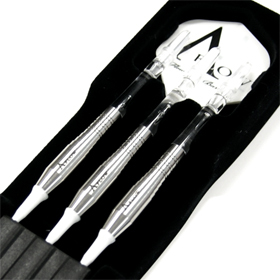 Players with their grip position in the middle or in the back will both feel a comfortable yet confident grip. 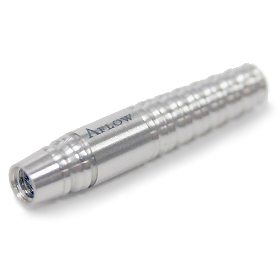 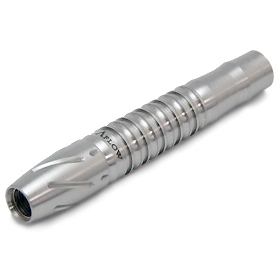 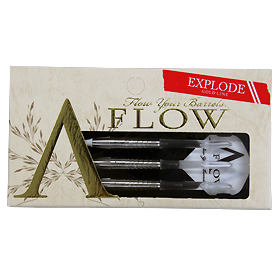 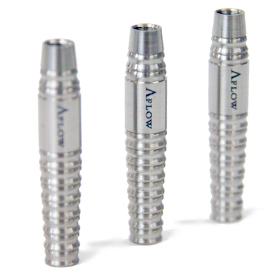 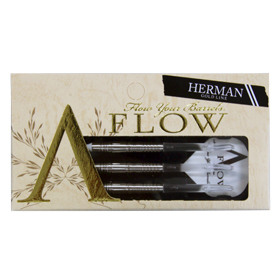 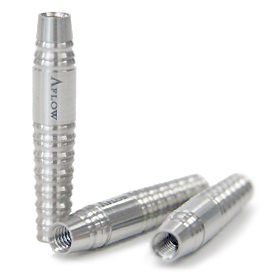 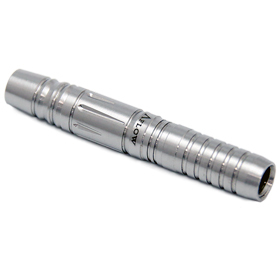 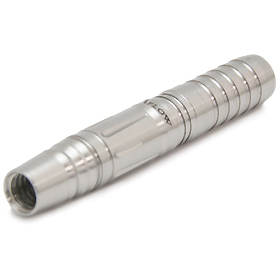 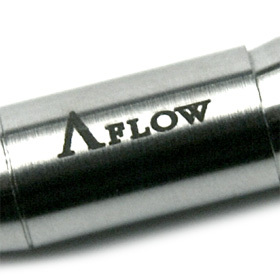 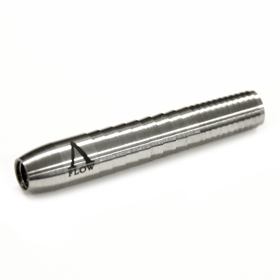 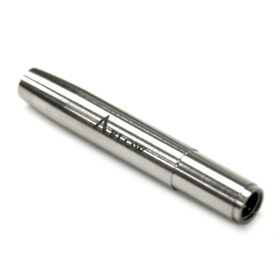 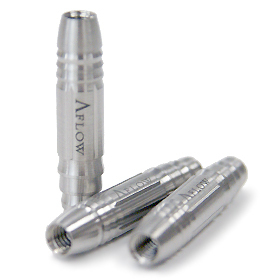 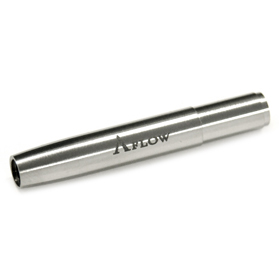 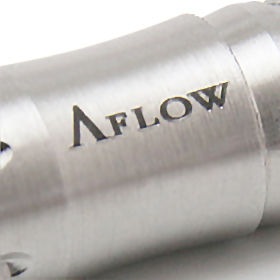 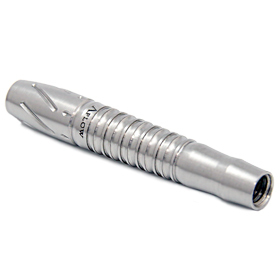 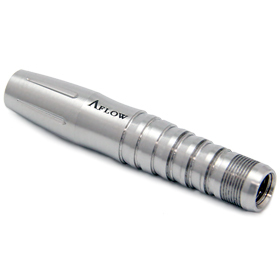 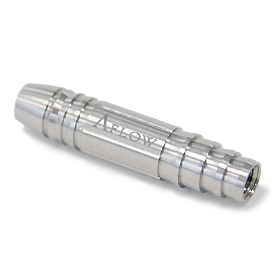 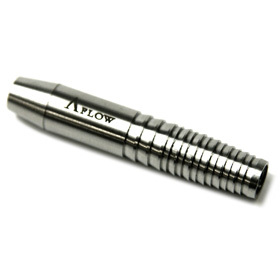 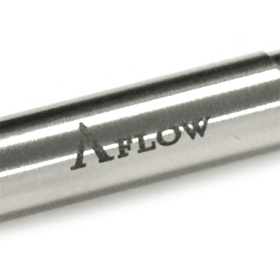 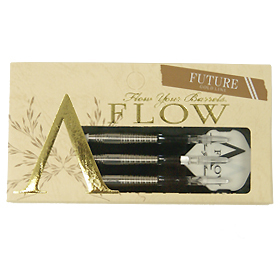 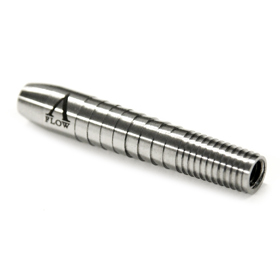 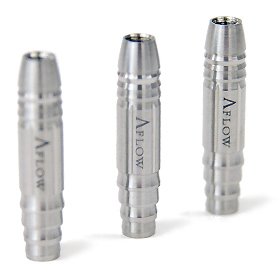 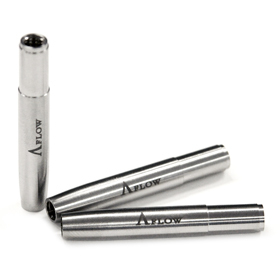 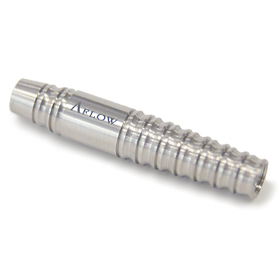 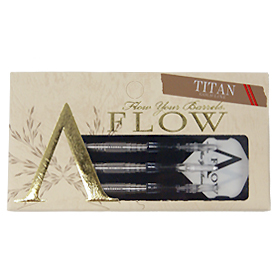 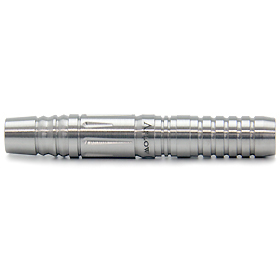 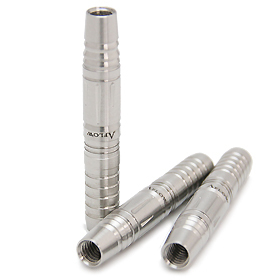 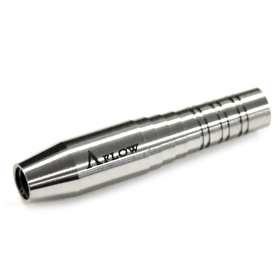 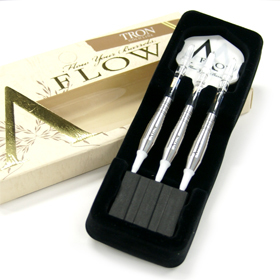 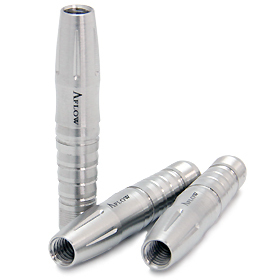 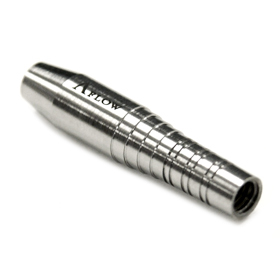 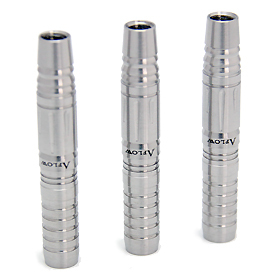 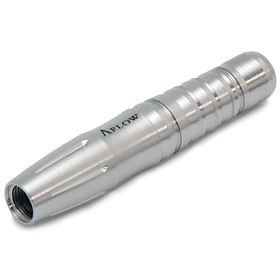 A FLOW [PLAYERS CHOICE] "TRON"
A-Flow Tron is a slightly front-loaded barrel made from premium 90% Tungsten, with a maximum grip diameter of 7.8mm. 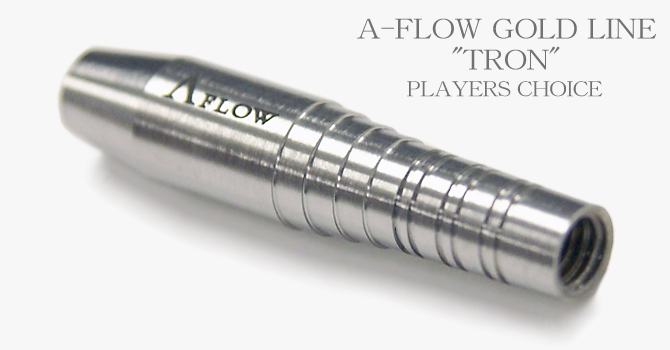 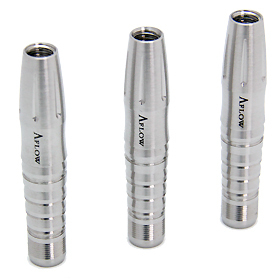 A-Flow Tron is ideal for players looking for a barrel with a large diameter to prevent over-gripping the barrel. The wide front-grip tapers down to thin rear, allowing the player to comfortably place his or her hands behind the center of gravity. 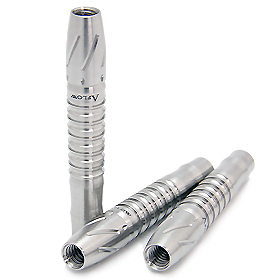 Both the ring cuts and the step cuts are balanced in a way that they will not grip too much yet allow for some comfortable grip. 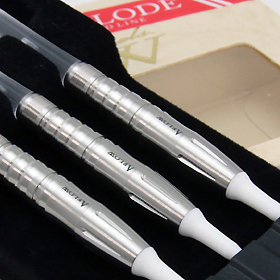 It is also ideal for players wanting two grips. 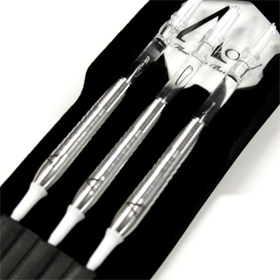 The Tron model tapers in the front and allows for tighter grouping. 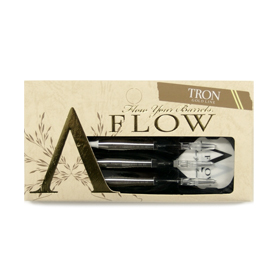 For those who are comfortable with shorter barrels, the Tron allows players to have a better feel while throwing and provides guidance to build the perfect trajectory. 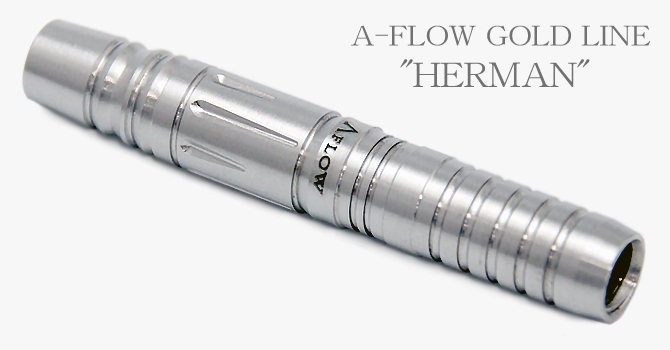 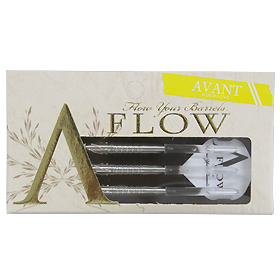 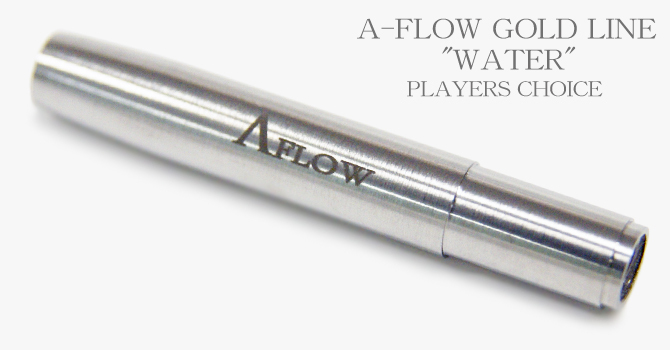 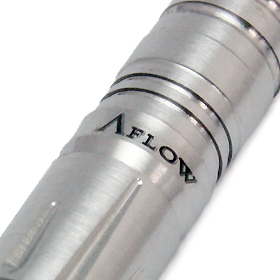 A FLOW [PLAYERS CHOICE] "WATER"
A-Flow Water is a center-balanced barrel made from premium 90% with a smooth grip. 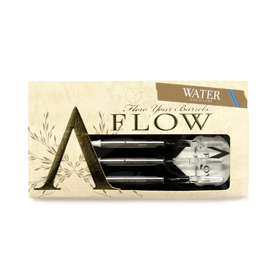 A-Flow Water is made for players that prefer a consistent and fluid release without the grip inadvertently grazing the player's fingers. 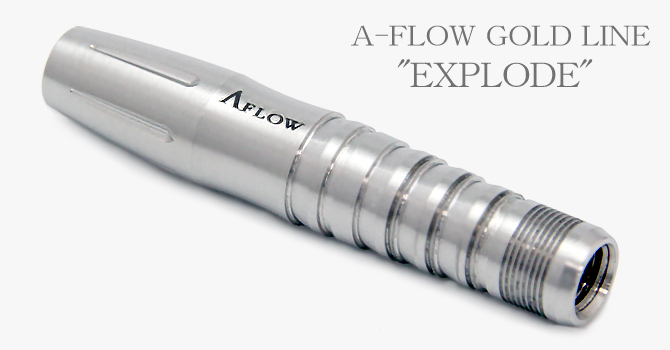 A-Flow Water features two notches, in the front and rear, to allow the player to easily find an anchor point for their grip. 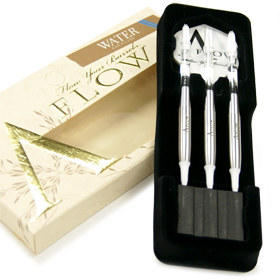 The Water model is ideal for players who prefer straight barrels. 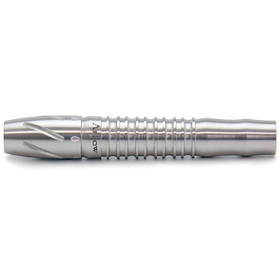 Unlike its appearance may suggest, the cut-less design will provide a stable and comfortable grip. 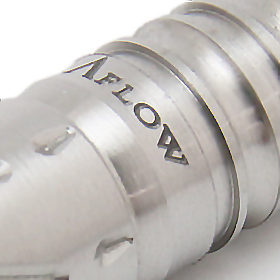 The notch towards the shaft side is actually very functional. 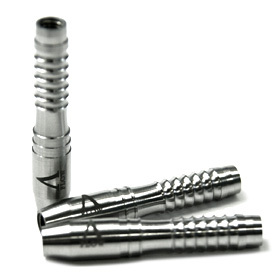 For those who hold their darts in the back, it provides for a stable grip and, as it can be obviously seen, allows for an excellent release. 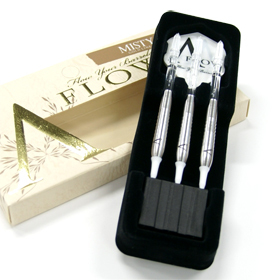 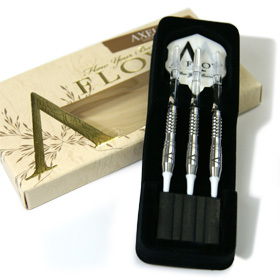 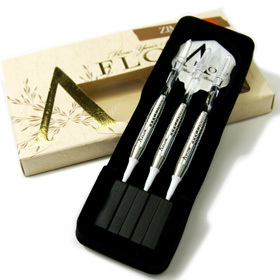 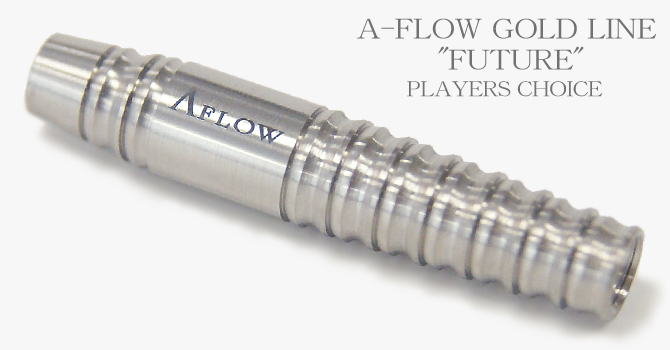 A FLOW [PLAYERS CHOICE] "AXELIA"
This premium 90% tungsten series has been created after several years in development, and numerous fine tuning based on DYNASTY'S players testing. 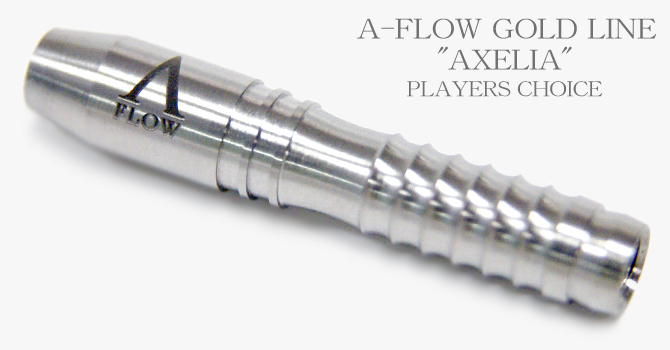 Alexia is a sleek barrel for players who like a balanced dart with a smooth, rounded grip towards the front. 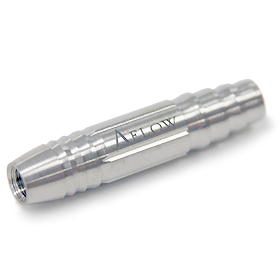 Its powerful grip-rings in the rear provide a maximum hold, while the curved center acts as an ergonomic anchor point. 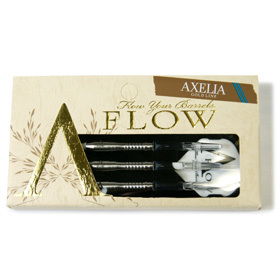 Altogether, Alexia has a nice jump upon release, requiring less force for strong and precise throws. It is easy to feel the actual weight of the barrel and the compatibility between the weight and the shape make it astonishingly easy to throw. 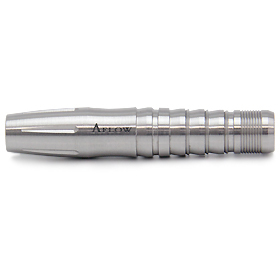 It has a grip and balance never felt before. 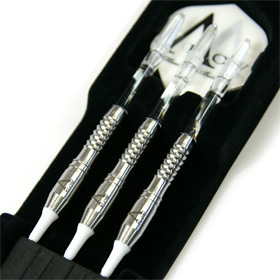 Also recommended for women players who find it difficult to constantly throw hard enough to reach the board. 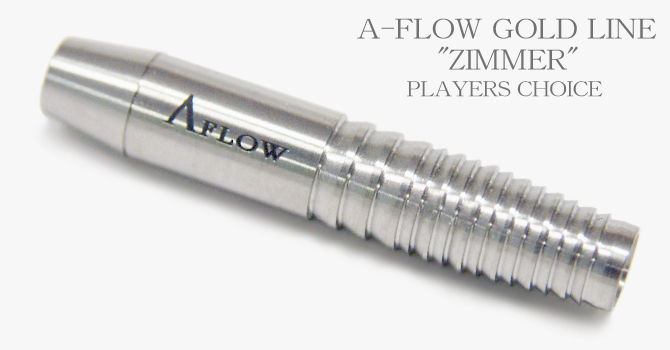 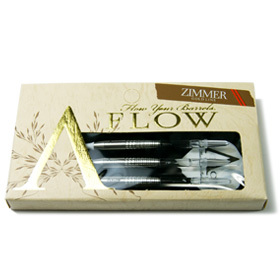 A FLOW [PLAYERS CHOICE] "ZIMMER"
Very easy to throw with a fantastic control. 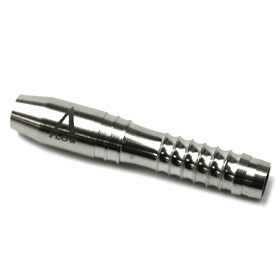 The tapered rear is its most significant feature and for players who hold their darts towards the rear they will be able to experience the surprisingly comfortable feeling at the tip of their fingers. 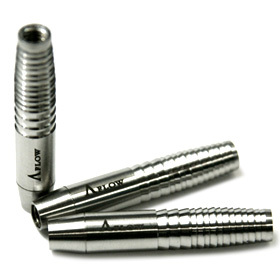 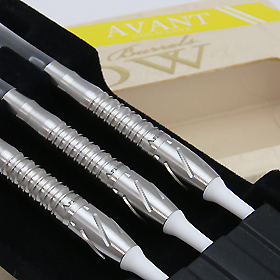 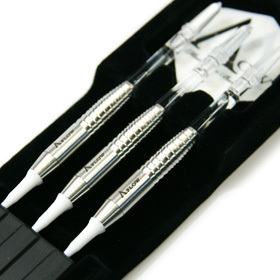 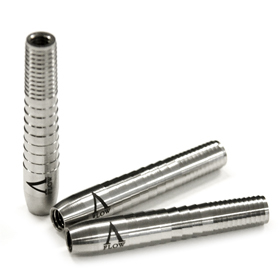 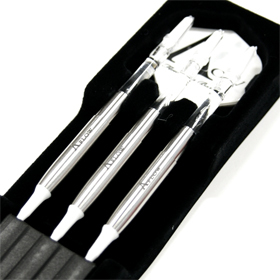 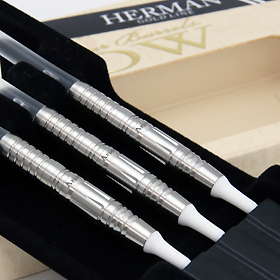 This premium 90% tungsten series has been perfected after numerous fine tuning based on DYNASTY's players testing. 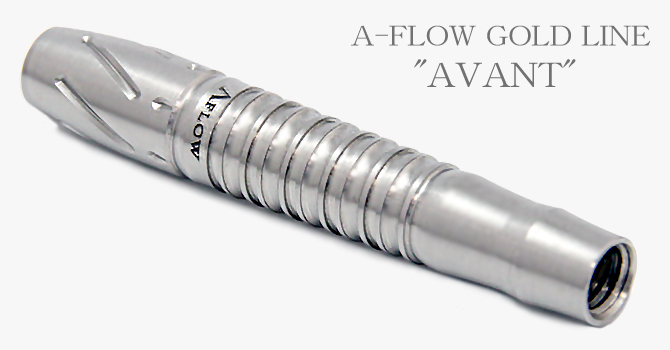 This functional and beautiful barrel was perfected by removing all the unnecessary components and seeking for the best durability, grip and release possible. 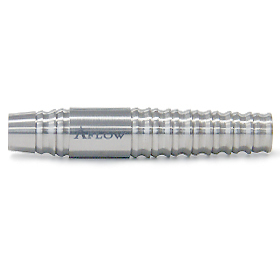 This barrel outline allows for a wide variety of grip type. 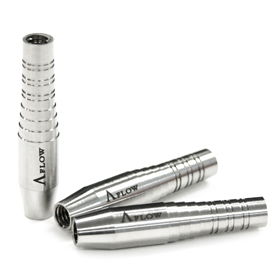 The combination of the tapering and the cuts allow for an easy push and smooth release. 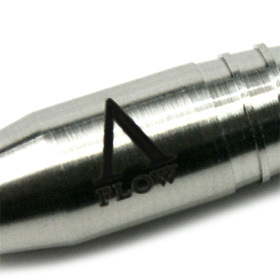 This model was perfected based on a concept for a short barrel that keeps a good weight sensation and keeps a straight trajectory by minimizing the sag. 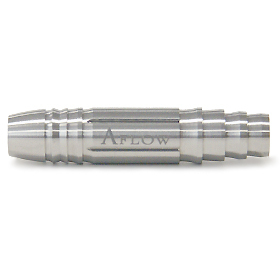 In addition, this barrel is designed to allow for a stable grip and a confident hold with an easy release This is a barrel that focuses on its cut design by keeping its functionality at the same time. 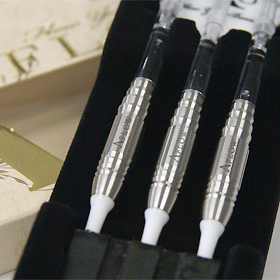 It is used strong cut as main that combined wing-cut and shark-cut. 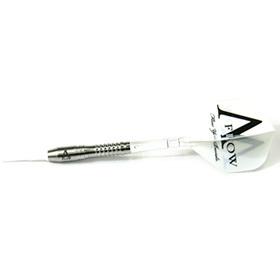 And it's arranged micro shark cut for tail. 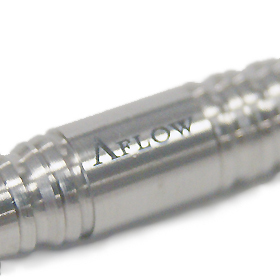 A hollow of center helps fitness for grip. 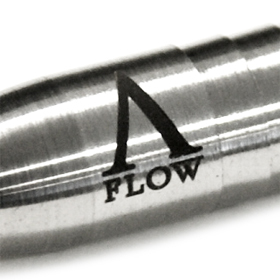 Straight shape barrel. 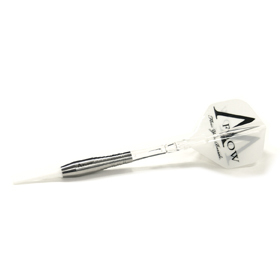 It is used ring-cut for the grip and throw. 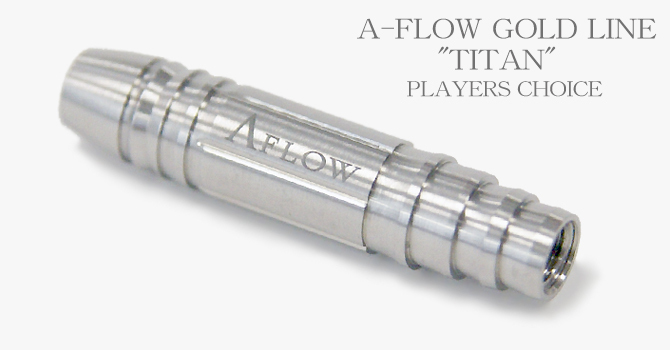 The difference in level is arranged, so It helps the grip position clearly. 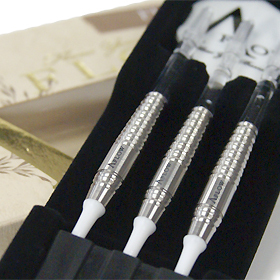 It is used double ring-cut as main. 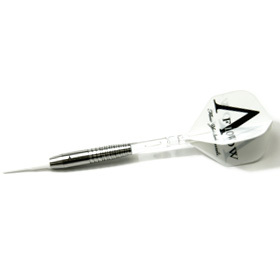 The pitch of the cut is provided wide width for the grip position. 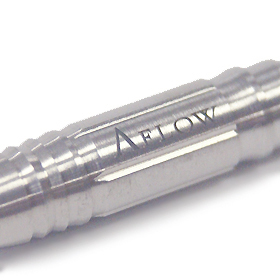 Also the no groove part of the rear show the main grip's ability.